Robin Hood II is named after our much loved Robin Hood I. Robin Hood was rescued and brought to Shetland Pony Club where he has thrived with proper care. He is now in good health and lives with his friends at the Shetland Pony Club ranch. He loves being part of the herd and being well cared for. Although Robin Hood can’t be ridden, he loves to join in the fun, and is a regular visitor to local fetes and events. He is friends with Nottingham. See the video below! 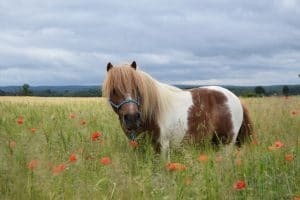 Shetland Pony Club’s adopt a pony scheme lets you love and learn about Shetland ponies. You can adopt our rescued Shetland Pony, Robin Hood, learn all about him and show you care. All the proceeds of your adoption will go to support other ponies in need. When you adopt Robin Hood you will receive our beautiful adoption pack which makes a perfect pony gift for anyone who loves ponies. You will also receive quarterly email updates and immediate access to Robin Hood’s own website. It’s full of things to learn and do and is appropriate for children of all ages. You can also organise to visit Robin Hood at his home in the Surrey countryside. Find out more about how to adopt Robin Hood here.